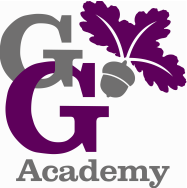 George Grenville Academy is commited to providing wrap-around care for its pupils between the hours of 7.45 am and 6 pm. We currently offer a Breakfast Club and an after-school club, called Stay & Play, which enable children to enjoy creative, stimulating activities in a friendly, disciplined, safe and relaxed atmosphere. To find out more, please click on the links above. We also have a Children's Centre on our school site, which offers support services for all children under 5 years and their families in Buckingham and the surrounding areas. Services are generally free and provided for all families regardless of circumstances.